Your business literally hangs by a thread of copper or fibre with the outside world. Securing your connection is a must. Should it become severed then business will rapidly grind to a halt. It is wise to look beyond your immediate surroundings when developing a Disaster Recovery Solution. A significant area of vulnerability that is mission critical to almost every business nowadays is your external connectivity. This enables you to communicate with customers, suppliers, colleagues and others. Widespread flooding is certainly one cause of disconnection. Although, a much simpler and more common threat is the accidental (or malicious) severing of communication links. Often caused by local road works or a construction calamity from the building work next door. It can take a while for connections to be restored allowing business to get back to normal. However, there are many methods available to provide the resilience at a level you need to ensure there’s minimum disruption to your organisation. A popular approach is to employ two or more separate connections using separate network providers and with automatic switch-over in the event of an outage. Individual connections are aggregated to provide greater bandwidth during normal use. Other configurations of this approach are also available depending on individual requirements. The Internet has revolutionised how we do business and few organisations can operate without a connection to it. Despite all its benefits, however, it is also a major source of threats to any business through viruses, spam, hacking, spyware, phishing and more. To protect against these threats, it is important to build several lines of defence. The first is a firewall that manages the flow of communications between your internal network and the outside world by examining the type, source and destination against a predetermined list of allowed and disallowed transactions. Ensure you have effective anti-virus and anti-spam measures in place, maintained and up to date to counter the latest threats and malware. As well anti-virus and related malware software, keeping your operating systems, browsers and other applications updated will all add to a protected work environment. A further line of defence goes beyond the reliance on technology. It involves setting policies and procedures, educating your employees and creating the right culture. Provide guidelines to employees so that they know what is expected. The role they need to play in protecting the business when accessing the Internet such as non-work-related websites, sending and receiving private emails and the need for good password usage. Mobiles usage has increased for business purposes. 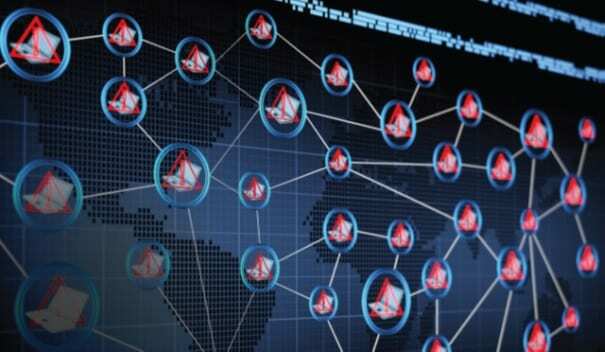 However, they are becoming targets for attacks from hackers and other external threats. Smartphones are effectively the same as computers. They need to have their operating systems and applications regularly updated to help counter any security breaches. If you’re unsure how secure your network is then contact us for a free review and advice on protecting your business.